While hundreds of illustrated editions exist, it this one, featuring “pictures by N.C. Wyeth”, that was produced to captivate 20th century youthful readers. 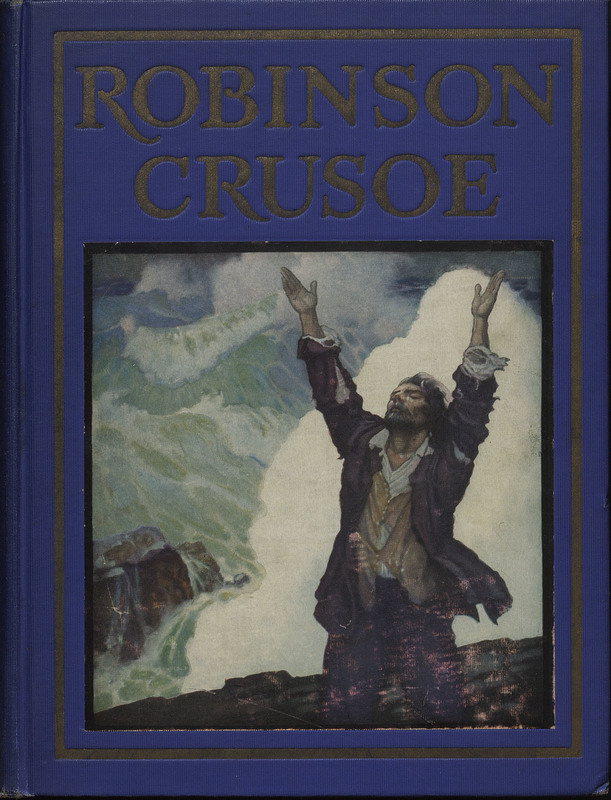 Published in the year following Robinson Crusoe’s bicentennial, it included twelve color plates, along with one on the front cover, title page, frontispiece, and pictorial endpapers. As Wyeth wrote in his illustrator’s preface: "Do my pictures add a little to the vividness of the story? Do I aid a little in the clearer visualization of Robinson Crusoe as he moves about on his sunny island? That is the most I can hope for." 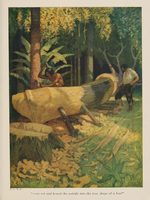 One of America’s most well-known illustrators, N.C. Wyeth studied with Howard Pyle before going on to illustrate 112 books, the most famous of which was an edition of Treasure Island. Wyeth is also known for his realistic paintings. Robinson Crusoe. Pictures by N.C. Wyeth. New York: Cosmopolitan Book Corporation, 1920.